It’s quick and easy to make but still packs a punch at the table. Try adding a touch of cayenne pepper for a kick, or add a handful of mint blended with the beans and beetroot for a fresh variation. Healthy, nutritious and tasty! – Add beans, beetroot, garlic, vinegar and salt & pepper to food processor. – Blitz while slowly adding the olive oil. 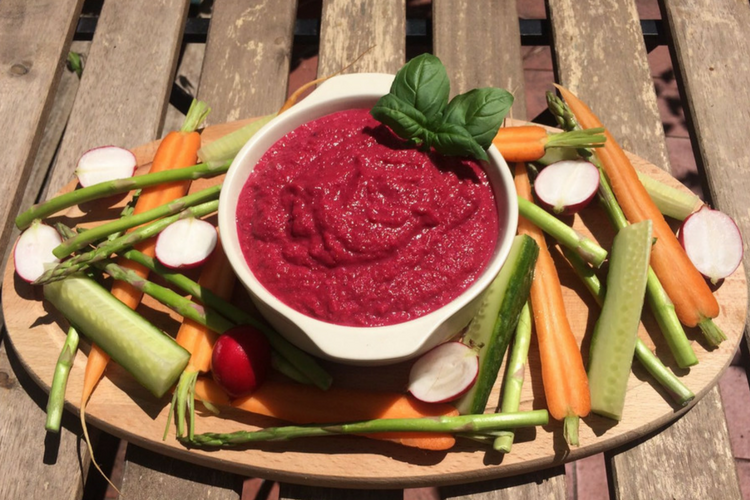 – Once a smooth consistency is reached, transfer into a bowl and serve with crudités of your choice. Good food and balanced nutrition have always been an integral part of Charlotte’s life. Taught to cook by her father, Charlotte owes her enthusiasm and passion for cooking, eating and everything in between to his wisdom and love. Charlotte has immersed herself into the pot of healthy, nutritious and most importantly tasty cooking. 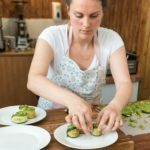 She runs her own Yoga Bowl events in London so try out her delicious food!